I’m an avid writer by night and an Early Childhood Special Education (ECSE) teacher by day. Through my work as a teacher, I am able to closely examine human behavior and tell made up stories on a regular basis. Both of these skills come in handy when I sit down to write my novels! When I’m not at work or writing, I enjoy spending time with my husband, our five furry rescues (four cats and one dog), my friends, and of course my family! Reading: I read just about anything, but my favorite genre is young adult fantasy. I’m a huge fan of Amanda Hocking, Cornelia Funke, Suzanne Collins, Brandon Mull, and Harlan Coben. Movies: The Hunger Games, Lord of the Rings, and Elf. Musicians: I listen to anything from hip hop to reggae! 1. I created several of the character’s names and places found in Grishma by mixing up the letters from my favorite Bravo celebrity’s names (i.e., Andy Cohen = Necoh). 2. When I’m not at home and I come up with ideas for the Necoh Saga (i.e., plot ideas, unique names, etc. ), I text myself. So far, I’ve sent myself over 500 texts! 3. Some of my characters most interesting, humorous, and unique traits were inspired by the people I work with, my family, and friends. 4. I consult lists like the “Most Hated Names List” when I get ready to introduce a new character. 5. I constantly write down funny things that my preschoolers say and I include some of the quotes in my writing. 6. My dream is for the Necoh Saga to become a major motion picture. 7. 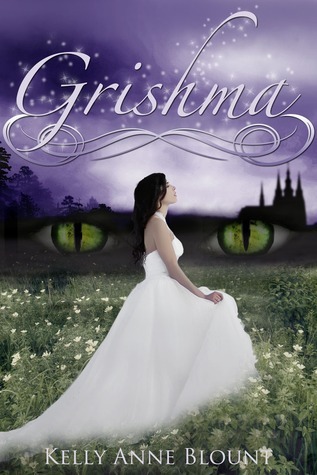 I’m in love with Grishma’s cover and I can’t wait to reveal the sequel’s cover to everyone! 8. One of my favorite book friends is getting a tattoo of Grishma’s eyes! 9. My mood is often reflected in my writing… If I’m upset, I may write an emotional scene. If I’m angry, chances are, I’m going to give my readers a reason to be angry too or a might throw a character into a dungeon! Grand Prize: Signed Paperback copy of Grishma plus 2 custom made Grishma bookmarks and one keychain. Second Place: E-book copy of Grishma, a signed picture of the cover of Grishma and a Grishma magnet. Third Place: e-book copy of Grishma. Click to enter this amazing giveaway! The general public now makes the decisioneverything that it would like for amusement, certainly not the main studios and distributors. If you happen to additionally distribution online and news websites, from gossip to entire movies. This is a completely new society. Much of it very good, some not.